I was recently asked to make some business card sized cards – basically cards that are the same size as those that come attached to a bouquet of flowers from the florist. They were a lot of fun to make for many reasons, not least of which was the fact that the smaller size made it really easy to assemble just a few elements together to create a pretty little card. Plus they’re just so tiny and sweet! 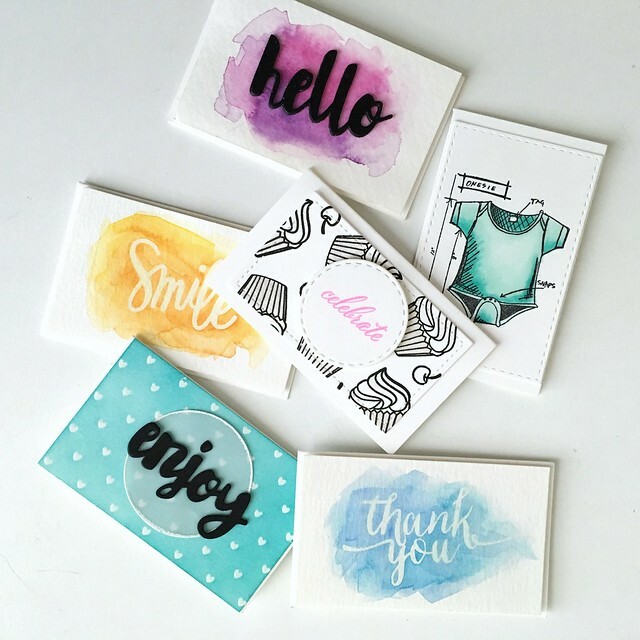 I tested out all different designs and techniques on the cards – some watercolor with emboss resist (a favorite of mine! ), some ink blending with texture paste and stencils, and some simple stamping and copic coloring. Each card front measures about 3″x2.25″ meaning each card started with a 3″x4.5″ card base folded in half. I’m really loving the look of bold black sentiments lately, so you see a lot of those here. 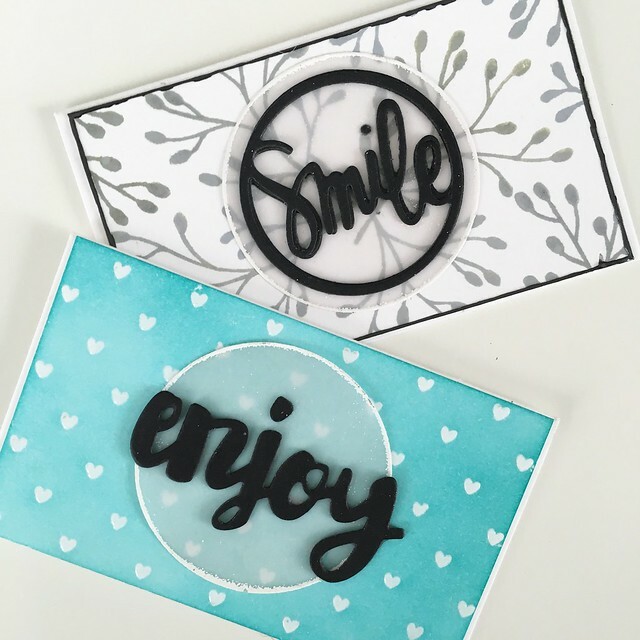 Cut from black cardstock, the black sentiments are made from dies by Simon Says Stamp – Smile, Enjoy, and Hello. 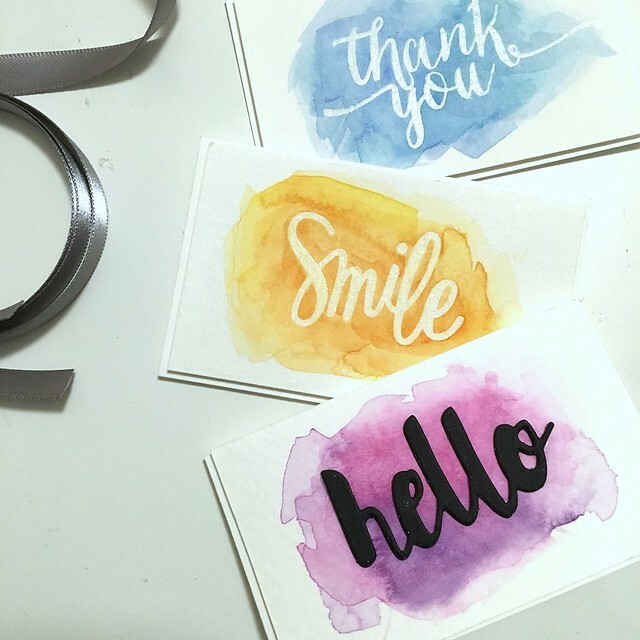 The Smile stamp comes from the SSS Happy and Smile stamp set while the thank you sentiment comes from my trusty Wplus9 Hand Lettered Thanks stamp set. 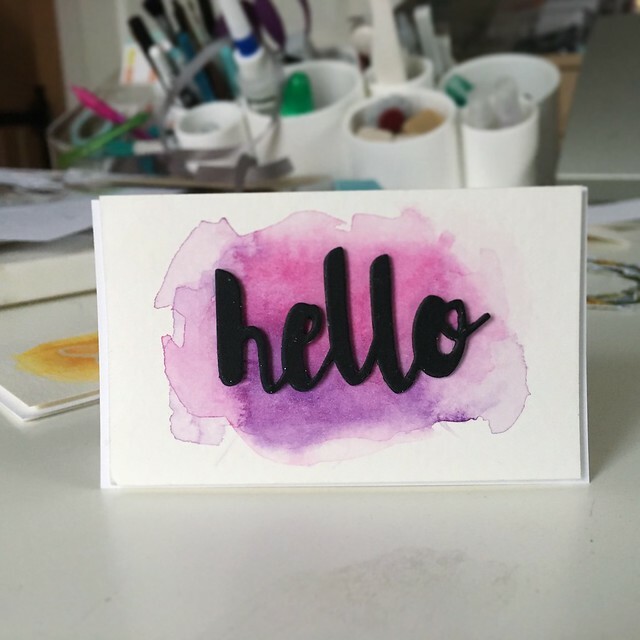 I think this hello card is my favorite. 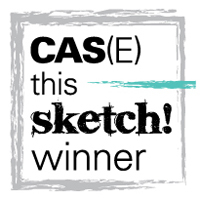 Something about the colors of the watercolor wash and that bold, black sentiment! Love these! 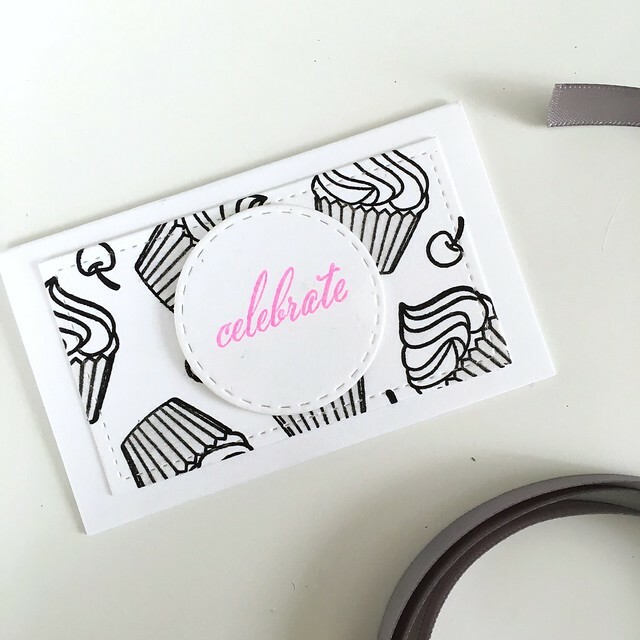 How did you get the white embossing on the edge of your vellum?